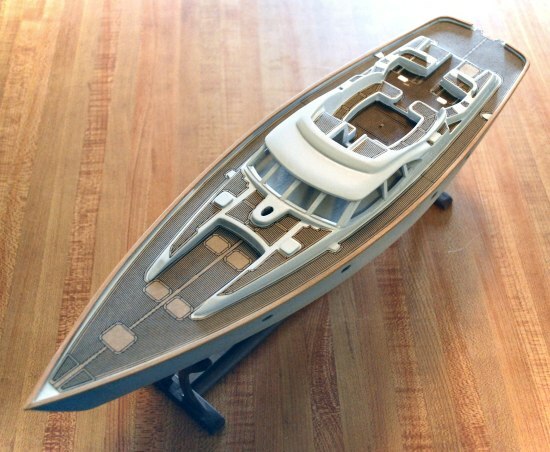 Oyster 82 model - decking and construction. 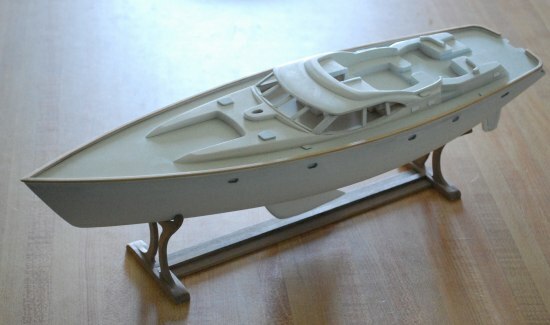 The egg-shell white base-coated model shown against a teak background. If there's any small flaws, they will become visible and can still be corrected before the final paints and finishes are applied. The image above shows the model after she's received her final white coat. Simulated teak decking and a wooden toe-rail have also been added.